Rob Gorski September 17, 2011 September 17, 2011 38 Comments on We’re on the same team….right? 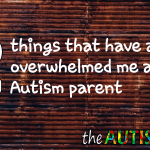 I wrote a post called 10 Things My Autistic Kids Wished You Knew. This was written about my children, although many, many people have been able to relate to the words. As with the rest of my blog, I never pretend to speak for anyone else. I simply share my family’s story, in a very open and honest way. I will say that our experience may not be unique as my words often ring true for others as well. I’m certainly not infallible but I do speak from a great deal of experience. I have been a special needs parent for almost 11 years now and that journey has been and will continue to be quite challenging. My wife and I are raising 3 boys, all in different places all across the Autism Spectrum. My oldest, Gavin, is 11 years old, very, very complex and can be very challenging to walk along with on his journey through life. He struggles with Aspergers, schizoaffective disorder, ADHD, OCD, PICA, an unknown degenerative neurological disease and primary immunodeficiency. These is just some of his challenges and not a complete list by any means. He is also emotionally about 3 or 4 years of age. My middle child, Elliott, is 5 years old and has Aspergers but is very, very high functioning. He is not socially awkward but experiences anxiety. He is by far our most typical child. Emmett is our youngest at 3 years of age. He was diagnosed with Autism earlier this year. He is pre-verbal and struggles with severe speech and language delays. Emmett also has Marshall’s Syndrome and recently had surgery to have his tonsils and adenoids removed. Emmett can be very difficult to walk along with as well. While I’m far from the brightest bulb in the box, I have gone great lengths to educate myself on what my children are dealing with. To make things even worse, the verbal attacks come from people within the Autism and special needs community. Last time I checked, we were on the same side….at least I thought we were. 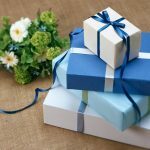 More recently, a few people decided to pick apart my post, 10 Things My Autistic Kids Wished You Knew. One line in particular seems to have struck a nerve in some. 1. I’m sorry I have fits but I’m not a spoiled brat. I’m just so much younger on the inside than I am on the outside. Keep in mind that I was writing this about my kids. I wanted to help put into context some of the behavioral issues my kids present with, especially my oldest. My thinking was that if people could have different perspective than maybe they could be a bit more understanding. However, apparently this line was deemed offensive by some. It’s a fact that some children with Autism are emotionally younger than their chronological age would lead you to believe. My son Gavin is a perfect example. He is 11 going on 12 years of age but is emotionally about 3 or 4 years old. This is a very unique challenge because Gavin will often times respond as though he were 3 or 4 year old toddler when he gets angry, frustrated, scared, happy or sad. 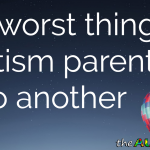 I know this to be true for many other families out there as I have been contacted by many parents saying they experience the very same issues with their ASD child. Does this mean that every ASD child or adult will be dealing with the same age gap? Absolutely not… Autism is a spectrum disorder and by its very nature means that every person with Autism can and will experience different symptoms and/or challenges. Different people with autism can have very different symptoms. Health care providers think of autism as a “spectrum” disorder, a group of disorders with similar features. One person may have mild symptoms, while another may have serious symptoms. But they both have an autism spectrum disorder. Those that were offended by the above mentioned line, less than politely accused me of spreading misinformation and insulting those with Autism. I don’t understand where this is all coming from. I thought I was helping the average person to better understand my children’s behavior by framing it in a way that was easier to understand. At no point was my goal to insult anyone or spread misinformation. The fact is that we as a community are presenting a united front. We are not working together to spread accurate Autism Awareness and this needs to stop if we want things to get better. What’s wrong and how can we fix it? I really think that it comes down to intolerance and a lack of understanding from members of the Autism community. If anyone should be supportive of a family raising a child or children on the spectrum it should be other families from within that same community…right? One would think that we would want to show support for our fellow special needs parents, however, in many cases, that just not happening. We all want the general public to be more understanding and accepting of our children and yet everyday I see just how intolerant we can be to each other. How is the general public ever suppose to become more Autism Aware if we as member of the Autism community won’t lead by example. I feel like at times we are simply making things worse instead of making things better. Trying to navigate the special needs community anymore is like walking through a mine field. You can say or do anything without offending someone. If I choose to use the word Autistic instead of person with Autism to describe my own children, I’m accused of cruelty or disrespecting them. Really? If I share some of the the things that my family experiences with Autism, I’m accused of insulting the Autism community and spreading misinformation. Are you serious? People, we have to move past this stuff. Why do we care so much about terminology and the words used to describe a situation or condition? News flash for everyone, whether you like it or not, Autism is a disorder. Whether you choose to say your child is Autistic or your child has Autism shouldn’t matter because it doesn’t change a damn thing. Life will be just as easy or just as difficult regardless of the choice of words. Why are we uncomfortable being honest about our experience? Why are we so easily offended? If we want the world to be a better place for our kids, and I’m going out on a limb and saying that we do, than we need to make changes much closer to home. We need to understand and accept that Autism is profoundly dynamic. This means that every person with Autism and subsequently their families can have a profoundly unique experience. There is nothing in Autism that is a one size fits all. Every child, adult and family can be different. We are making way to many assumptions about other peoples experience based on our own personal experience. My family’s struggle with Autism is particularly challenging. However, I am very aware that many families out there face challenges much more difficult than mine. I also know that some families experiences are much more positive. The fact that everyone’s experience can be unique is a concept that seems to be evading the grasp of many people within the community. I always fall back to the same thing when it comes to addressing these issues. I think that by sharing our stories not only are we helping to educate the public but also ourselves. We shouldn’t have to navigate a minefield to have a conversation about Autism. Just because you prefer Autism over Autistic doesn’t mean you have the right to lash out at those who choose differently. At the end of the day it means the same thing and neither term should be deemed offensive. If you hear someone sharing an Autism related experience that you have personally never experienced doesn’t mean they are wrong. It means they have had a different experience than you. The best thing to do is take advantage of their willingness to share and learn more about Autism than you knew already. I would like to think that we can turn this around and learn to work together instead of fighting amongst ourselves. We need to set the standard and lead by example, instead of being another example of the intolerance and ignorance we are working so hard to counter. I see this is an older post, but it's a repost today and the first time I've read it, so I'm going to reply. First, you amaze me-I read you regularly and I am always astounded that you manage to get up every day and get it done. I don't know if I could do as much in your shoes. I'm a medic as well, with an autistic son, and I feel so badly for Lizzie and her migraine. I'm on day 17 of an awful one, I don't think I'd survive one that lasted over a year. Second….as to what people are saying, I'd say to ignore it but I know it's hard. To hell with that noise, though. People are so fast to get butthurt on vernacular. We have developed such a need for soft language in this country, it makes me sick. Meanings get cloudy and non committal. My son is autistic and retarded. Yes, you heard me, he's retarded. He's no more special than anyone else's kid, he is not "differently abled"or handi-capable" or any other of those idiotic things. He's a happy kid who just turned 18, can't use the toilet, has not mastered the use of a fork and is quite possibly the most fun person I've ever met. My husband (also a medic-yes, we did meet at work-and a deputy sheriff) and I say that the world is his playground and all the people in it, players in his story. Your experiences are yours and anyone who dares to try and tell you what you should do, say and be in regard to your child should just take a flying leap. If they can't separate themselves and their stupid opinions from you and yours, they should back away from your blog. @ashlie I also attend an LDS church and I"ll be sure to check out your blog. But I wanted to welcome you to connect with me on Facebook. 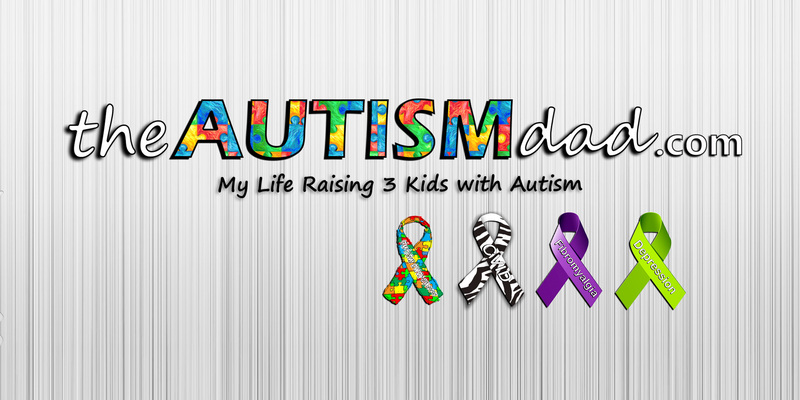 I'm 35, autistic, and have two autistic boys (they have other issues too…. but ya know, we're here about their autism 🙂 )I"ll be signing in as my Facebook account, so you should be able to just click on my name and it will take you to my Facebook wall and you can do a friend request from there…But one point I wanted to mention was this: I say I'm autistic, not because I'm ignorant of person-first language… I'm sick and tired of people trying to separate my neurology from my personality! It's connected folks! I say "I have cancer" and not "I'm canceric" because cancer is a DISEASE. Autism is NOT. It's a …. essential part of who I am that shapes the way I interact with the world around me and the way the world interacts with me. It's not a tumor. It's just autism. In our "community" you are dealing with exhausted, isolated, worried, frustrated, grief-stricken and very sensitive people. 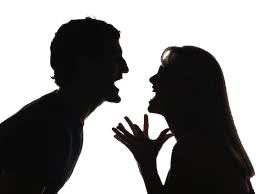 While I wish people would chose not to comment with criticism – constructive or not – it is the nature of humanity. You simply cannot please everyone. Focus on the many heartfelt and positive comments you received in response to your post and allow the few negative comments to remain "the few". I would suggest you do not give negativity a voice by rebutting or clarifying your words. They were powerful and helpful to many and a means of support to those who need to be supported along the road of this most difficult journey. Keep up the great work for the community who benefits from it. as usual, straight and to the point, Rob. my perception of the problem is the same as yours, and i think it's interesting that so many, so many parents feel so grievously criticized; i believe that indicates that, intentional or not, there is a problem w the message being sent to us. adults who are able to speak for themselves simply don't have the same needs as children. i think a huge part of the problem w this dialogue is the differences in the lives of adults and children. many critics lump these lives together, mistakenly. the fact of the matter is all parents have a responsibility to speak for, protect, and make decisions for their children; that's the central job of a parent. also, it's a bit like a 12 step program, this multifaceted discussion; take what you like and leave the rest. Rob's post has rich, resounding meaning for many people; if it doesn't have that for an individual, that individual doesn't have to use it; walk away. not every single posting w the word 'autism' in it is about every persons who feels themselves related to that topic. 'not everything is about you,' as they say. critics of writers like rob seem to have what i find to be a confounding need to tell other people how to talk about their own lives. it's a kind of censorship. i reject it. but you know what? i'm not going to tell them what to do, because then i'd be doing the same thing they are. rob, keep on with your fierce self. you know we all have your back. Rob, great post! I think that a lot of people are of the "it's my way or the highway" mindset. There's stay at home moms vs. work outside the home moms. My special needs are more important than your special needs. My autism is better than your autism, etc. Listening to another person's perspective on something that you hold near and dear and "know better than anyone else" is a very uncomfortable thing for a lot of people so when you shake their tree, they're gonna fight you on it. As far as talking about explaining your child's behavior and the response it's gotten… I've noticed that a lot of people (not all!) in the special needs community are very concerned with the perception of the general public (people who really don't matter and you'll probably never seen again) of who their children are and who you are as a parent. I really wish that people would be able to get themselves to the point where they are concerned only with their child and, as long as their child isn't injuring or truly bothering another person, ignore the hairy eyeballs. My recent post It was scary…. Rob, your "10 things" post was one I shared on my FB page. It mirrored what we are going through with our son Theodore….I even added my own comment ("Even though I don't speak (yet) my actions speak louder than I ever can…I show love and appreciation in my own way… and I'm a great judge of character."). When my son was diagnosed we were flooded with a mind-numbing amount of information that was less than positive. We were sent to visit websites that painted a bleak future for my son, and for us. So once we got our heads around this disorder (as much as we could to this point) we instead turned to positive groups for support. It's people like you who put things in perspective, show us that there is much to learn, and — more importantly — are supportive of what we are doing to help our son achieve milestones and success. Thank you for sharing your journey with us. You insight and love for your children show in each post. Keep up the good work and keep up the good fight. After all, we are doing this for our children… and we are on the same team. Our daughter will be 13 next month and although she functions at a higher level than many we have come in contact with she still has emotional meltdowns typical of a 6 or 7 year old so I can totally relate to you on that. These meltdowns are unfortunately becoming more frequent due to the joys of hormones/puberty. My hope is that I can document our journey & it might help others as they encounter this step years from now. What I have learned in the short amount of time that I've been blogging is that I definitely won't make everyone happy with the things that I write, but the comments, messages, and e-mails that I receive from people that our story inspires them, gives them hope, and in many cases makes them laugh is all I need to keep sharing our journey. I for one am thankful that you continue to share yours! I recently wrote in one of my posts how divided the autism community is and what a sad realization that was to come to. The argument over whether our children are "autistic" or are "children with autism" has gotten ridiculous. It just doesn't matter to me. I personally feel that when we argue about those types of details that we are taking our eye off the ball. I'm more concerned with those people who are not a part of the autism community being more accepting of our children and teaching their children to be more accepting of those with special needs. im so happy that i found this site,sad to say here in my country they are not yet aware about this issue…but since i found this im so confident now that i can be strong enough to handle my son..internet for me is a big help…i admit im really left behind when it comes to information..we just had 1 chance for his check up that was the time i found out he is asd…..
You've copped some flack? Great that means people are reading! At first I thought there was a problem with you having written something on behalf of "all" people with Autism. But nope, you've done a great job of saying it's what your children wish we all knew. My children just wish that other people truely knew manners and acceptance. Constructive conversation is possible, but it's hard work, and requires listening to people who criticize us rather than lashing out at them defensively. So, it's more about considering whether a specific grievance has merit. In those cases, we need to be very careful to speak for ourselves and our personal experience only. 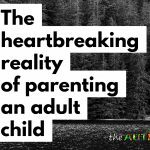 It doesn't matter how much we know about being a parent or a self advocate (for those of us who fall into one category only), if the issue is that we don't understand what it's like to be on the other side. We're working hard at constructive conversations at Thinking Person's Guide to Autism, a site to which you have contributed: Starting tomorrow, we're hosting a parent & self-advocate dialogue series between Robert Rummel-Hudson, Zoe of Illusion of Competence, and Ari Ne'eman. Hope you can participate. 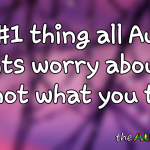 http://www.thinkingautismguide.com. Wow. Thanks for stopping by. I completely agree with you. I realize this isn't always easy to pull off but this is so vital to the future. I'm very open minded and I can see others point or perspective but I don't understand the aggression. We should all be working together towards our common goal. Thanks again. You made some great points. I swing by and check out your new series. 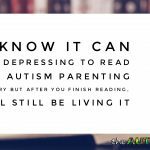 Thinking Person's Guide to Autism is a great site and you folks are doing great work. Thanks for everything you do to better the community. I come from Stuart Duncan blog, I have Autism and I see nothing wrong with parents talking about Autism in a respectful way to those that are Autistic, of course there is a difference in talking about Autism and talking for the Autistic by denying the voice of the Autistics (verbal or not), it's not what I normaly encounter, but there are some cases of non-autistics attacking Autistics that are trying to have a voice of their own, like I said it's rare but it happens, even blog posts used just to bully an Autistic person I have read, that is something that infuriates and causes very wrong reactions like comments against non-Autistics. There are those lines that we keep listening like You are too high-functioning to want a cure, or something like that, it makes no sense for us because it's not our point and it's kind of offensive and sometimes not real, and a Spectrum is not a line anyway. (I don't want a cure but people are different with different lives because of that I have nothing against Autistics that want to be cured or parents who see things like that as long they don't offend their children by saying the way they are is sick, my life is not easy in any way but thinking of being cured depresses me, and I think that shouldn't be the main thing we should focus, support and acceptance are more important in the present, all Autistics should feel loved, accepted and learn to be pride of being themselves, with Autism, disability and all). Many if not most of us only have the internet to talk through so it's really important that someone listen to us fist, many like me only have a real voice here. That was very well said. I don't think that would offend anyone, certainly not me. I completely agree with you, it has to kinda be, to each their own thing I suppose. Look, at the end of the day we are all just people. We all see things in our own unique way and experience the world differently. Everyone should feel loved and accepted…..period. You mentioned curing Autism. I will say that as a parent, it's very hard not to want to take away anything that causes your child to struggle in life. I totally get why some people would find that offensive. However, I don't view my kids as sick from Autism. I would say that some of them are more abridged versions of themselves due to Autism..if that makes sense. Thank you for sharing your thoughts. I would love to hear from you again. You have great insight and your opinion is important. Thanks again. I love the "abridged versions of themselves!" It makes great sense. Thank you so much for your careful consideration of this important aspect of the struggle, as well as your entire body of work devoted to what is so important to so many of us. Keep up the good work! Thanks. To me it makes sense and is how I have been describing Autism to people who don't understand. Alicia, I am so glad to find another grown person with autism I can learn from! I so agree with your point of being listened to first. 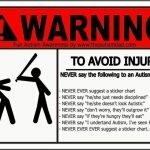 Please share with those of us who are caregivers of children with autism. I am so glad to hear you feel it doesn't take away from your experience and special understanding, for others, parents and instructors, to also desire to be supported and instructed as well as to facilitate better opportunities for the children whom they love. Another great post Rob. As you know, I just entered into a verbal sparring match and you not so long ago held my hand when I encountered my first official meanie, and I can ALWAYS count on you to tell it like it is. 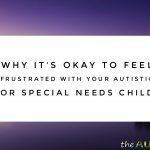 The honesty you have is an inspiring reason why I felt I could blog about being a special needs mom myself – not because I'm an expert about more than my own children, but because I AM an expert in my own kids and I care about raising awareness for those who don't understand. I think the thing that bothers me most about folks who take this me versus them stance is that they don't want to see the other side of things. Period. It's difficult when you are someone who wants to raise awareness, and by default want more people to understand, about special needs and/or autism related issues. i have the exact same issue – to me – people who DO NOT have autism have absolutely NO RIGHT to OPEN THEIR MOUTH because they do not have it themselves – and do not know crap about what it is like to have the condition, the social rejection of it, and so much more that it makes my head spin. i have the exact same issue with people who go to college to teach special needs / special ed when they ARE NOT special needs themselves !!! But there are people WITH autism who open their mouths because they are on a different SPOT on the spectrum. They are offended because I want my son 'cured' and for some stupid reason that means I hate him, don't love and accept him. The people who do not have autism are actually nicer to us. lol, I can't even begin to count the number of ways that is so wrong. Richard, I would so appreciate your insight. I knew there was something different, not bad, just different about my grandson when he was two months old. Despite all assurances to the contrary, we pushed ahead with determination to work with him and offer him the opportunity to learn in the way in which he actually learns. We have not tried to cure him or change who he is. I heard a speaker who had autism himself who said how insulting it was to him when people assumed he would choose to be different. I love my grandson the way he is. There are so many things about him I find much more appealing and beneficial to his becoming a compassionate, tolerant man. When he started into therapy, I mentioned to the therapists that I did many of the same things–stimming, disconnecting from the world others are in at times, sensitivity to noise, smells, tastes, textures and light. I also didn't catch hints, and still don't, even when hurled at me with some force. So…I was assured I must have autism as well. I had pretty much realized that by then. I would so have liked to have known that growing up and had the opportunity to live and learn how I was most able to do so. My school life was extremely hard and as a result I homeschooled my own children and now my grandchildren. When I was in school, I skipped two grades, putting me into classes with older students when I was already not even approaching where they seemed to be socially. I had short stories published starting when i was in the 8th grade and my teachers accused me of plagiarism. I made a perfect score on the SAT's and even though I had always made straight A report cards, it was scrutinized for supposed cheating. This is not the life I want for my grandson, and he is much farther along on the spectrum than I am. Please share with us your experiences and insights. I would love to have them as I do understand you get things those without autism can only try to understand. In addition to helping kids directly, there is also to be considered helping parents to help their kids. I learned so much from the therapists working with my grandson. I would have loved to have taken some kind of classes if I could have. I do know a young man on the spectrum majoring in special children's education in college right now. Those like him and yourself can be of prime importance to those of us trying to do best by the children we love. In addition, there is also the need for support and help for the caregivers, certainly foremost the parents of these wonderful children. The more the parents are able to learn and to be supported and to be enabled to provide the best opportunities for their children, the better off the children will be. That I can relate to from my own childhood and that of my grandson now. When people are in pain, emotionally, they sometimes have too much to direct it all at one place. That is not a character flaw, it is just so overwhelming. I believe that is what the disagreements and recriminations arise from. When I was a child, I do believe I would not care about my parents' and teachers', etc. arguing about terminology, and what agenda should be at the forefront. I would have just wanted someone, anyone, trying to help me now–or then, in my case. Our children need opportunities to progress in learning the way they can and to enable them to be the special wonderful individuals they are to be. Semantics mean nothing in the day-to-day, lifelong struggles to fit in and be accepted in this world in which they live; and the children already have to do way more than their share of understanding and trying to function in a world not of their construct. I didn't see a Richard, so I'm assuming you are asking me. If not I'm sorry. I'm not exactly sure what you are asking. You have a lot to say and I think that's awesome because it shows me that you are plugged into your grandsons life. What you were describing sounds so much like my wife. 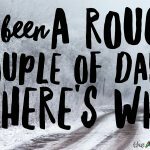 After the kids were all diagnosed, my wife realized that she has always experienced the same or similar things as our kids do. Lizze was later diagnosed with Aspergers herself. Please feel free to email me whenever you need to. I think you are doing a great thing. Your unique insight and experience will serve both you and your grandson well. Unfortunately, the more you put yourself out there, the more likely you are to find people who will be offended by what you say, people who are easily offended, people who like to argue and so on. It's the price you pay for reaching a lot of people. I realized early on that I can either try to please everyone and keep disappointing yourself or you take the disagreements, arguments, snide comments and hateful attacks with a grain of salt and just keep going. Just yesterday I had a woman with autism attack me for "othering" because I wrote about autism when I don't have autism myself. So what do I do? Stop trying to make the world a better place FOR HER… or just ignore it and keep doing what I'm doing? Sadly, you could be the most diplomatic, crowd pleasing, professional speaker there is but as your audience rises, you're going to encounter this sort of thing more and more. It just comes with the territory. Well put Stuart. I guess my point was that it's happening in general, I was using myself as an example. This is happening to lots of people and it's something that truly baffles me. I don't understand the motivation behind these attacks. But your right. We will encounter these people along our way. They are just counter productive and I find that frustrating. Especially since we should all be on the same team. Keep up the brilliant writting, you’re doing more good than harm. Forget the haters. I love reading your posts. I have used both my son has autism, and my son is autistic. 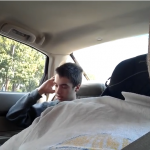 He was diagnosed as high-functioning autistic when he was five. He is now eight. We knew at two that there were issues, but the doctor told us not to worry. This is what delayed our diagnosis. He used to have daily major meltdowns before diagnosis. Once we learned what the issue was, we completely changed our parenting style. It is, as I know you are all too aware, a difficult road. Not just for our children, but for us as parents too. However, I wouldn’t change him for the world. He is who he is, and I am his biggest advocate. Nothing will stop him from accomplishing anything he sets his mind to in life. Keep doing what you are doing. This is YOUR life and YOUR experiences. Thank you for sharing them so candidly with us. by far the best article you have written. My son is also very HF and was originally diagnosed as an Aspie; now is diagnosed HF ASD. However, I feel lik an outcast sometimes even within my own community because he is so aggressive and emotionally young that people don’t get it. If he didn’t talk, they would respond to him differently, but because he can…….they think he should be able to respond appropriately even when they KNOW he is ASD. I love your blog. Keep it up!!! !